Ivan Sen should be a filmmaker that sounds tired. I'm catching him a morning before an international flight where his latest in the Mystery Road series, Goldstone, is in competition numerous international film festivals. Sen comes across as unflappable, and immediately begins our conversation apologising for being tired. I assumed that he must have been swept up in plans for international travel and then local home entertainment release of Goldstone; but instead Sen responded in a way that one now must expect from him. Sen has just wrapped some particularly heavy shooting days on his latest film This Winter; an independent feature with a raw personal connection. 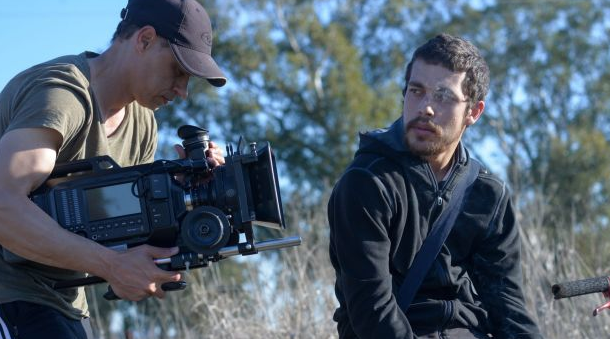 "I just shot a little film in Tamworth about Indigenous youth suicide which is something that has affected my family just recently a lot and I just felt the need to do it. I’ve touched on this issue in Toomelah and Goldstone; it was time to face it head on this time." "This is the ultimate DIY project, just me on location with actors (or non-actors) and that’s it. My lead actor is incredible, he’s a cousin of mine (Brandon Waters) and he’s 20 years old and he’s just mesmerising, so real the difference with this film compared to Toomelah is all the performers are strong. I learned a lot of lessons from Toomelah. I got Ursula Yovich (Australia, Around the Block) to kind of shoot through the centre of this film with this young guy we’ve got her experience to be kind of a platform. And it’s just me through post this time, so I’m actually doing all of the sound, all of the grading on the iMac as well." After 'one man band' Sen completes the post production process, This Winter will be submitted to the Berlin Film Festival. When we began to discuss the success of Goldstone, Sen was conflicted about feeling any pride about the work. He has problems with that term. Instead he felt satisfied that the themes of the films are getting out there "in an artistic but digestible way." Sen's creative pursuit has been towards "getting the themes and the accessibility at the same time," and he feels like that's where his work is heading. After Mystery Road and now Goldstone, it's impossible not to grill him on the future of the character and this flourishing series. "It’s something that Aaron (Pedersen - star of both films) is really passionate about and from his end he’s keen to keep exploring this character. He’s such a dynamic vehicle to show the many facets of this country as it relates to the indigenous experience. The police story is always there, you can get into the issues that surround indigenous issues as much as you like. Because he’s (Jay Swan) part of the indigenous world and part of the establishment. And you can make a film about land rights as police investigation story and that just gives this genre fresh perspective because it has deep political connotations." The good news is that Sen sees "one film at least and we may just end up making one more. [The potentially final] film will tackle the whole land rights issue and the closing down of communities head on in a much grander scale than in the other two films." For fans of the series, the possibilities are endless. Sen sees the "police story" as the backbone of the film and you can "integrate the issues as much or as little as you want and that can kind of influence how much it affects him as a character because he’s invested in those issues being an indigenous cop." Sen's quiet unassuming manner disguises a vibrant, passionate artist; and he doesn't seem to be slowing down. "The passion is getting stronger the more I do it. I made an experimental film called Dreamland a few years ago and I had a cut of it at one point and I’m actually still editing it 10 years later. [LAUGHS] Toomelah gave me a certain confidence to do this solo thing and people talk about all these roles and stuff and about ego and it’s so not like that and it’s letting the work have its own weight, and allowing the work to be want it wants to be." Sen learnt hard lessons shooting Toomelah, being "surrounded by all the dysfunction that you see on screen. Sen confesses that he thought, "I’ll never do this again." When it came to This Winter he had the necessary inspiration and experience to tackle it. "It's just very inspirational to do a film like this, where its just you and the real people influenced by these things...there’s still dysfunction but I have a protective environment … I found it quite a very easy process at the same time as being quite emotional." He feels like for future films, including an upcoming Sci-Fi project, with a larger budget that he "can really make that film in this style, with a bit more of a stripped down and simple approach ...[despite] a bigger budget with much bigger stars...can make a 5-10m film feel like a much bigger film and compete with much bigger Hollywood films. Tapping into the real world instead of trying to construct it. Connect into it." Goldstone is out now on VOD and will be released on Blu Ray and DVD on October 26, 2016.